HAWAIʻI ISLAND - The wet, stormy weather is expected to continue Friday, with more flooding rain and thunderstorms possible. 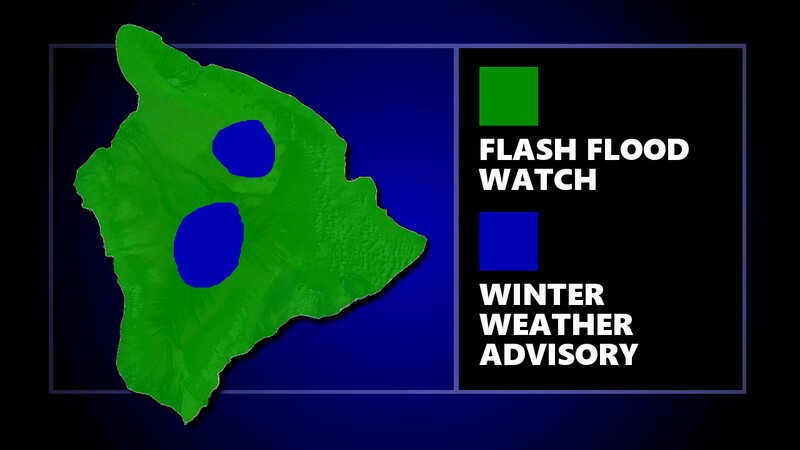 (BIVN) – The Flash Flood Watch continues for Big Island through 6 p.m. HST Friday evening, and additional snow is expected on the summits. Moisture wrapping around a broad upper level low to the east of the state will bring frequent showers and isolated thunderstorms to Maui and the Big Island today. Rainfall will be heavy at times, potentially leading to flash flooding. Although most of the heavy rain will focus over windward areas due to the strong trade winds in place, heavy showers and thunderstorms will also remain possible across leeward areas. The threat for flash flooding is expected to diminish this evening. 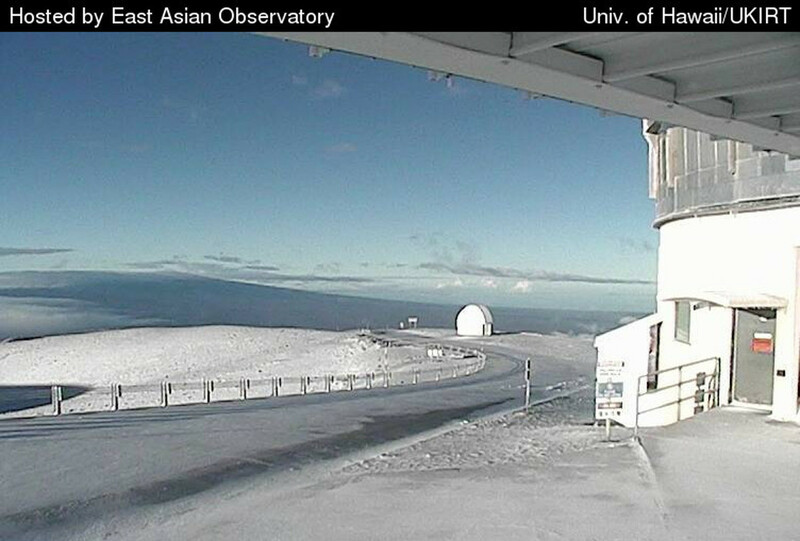 Periods of snow will affect the summits of Mauna Kea and Mauna Loa today and tonight, forecasters say, as the Winter Weather Advisory is still in place. “Plan on slippery road conditions. Additional snow accumulations of 1 to 3 inches are expected,” the National Weather Service said. The Road to the summit of Maunakea is closed to the public at the Visitor Information Station at an elevation of 9200 ft due to high humidity, fog, freezing temperatures, deep snow and icy road conditions, rangers say. A Wind Advisory remains in effect for some of the windier areas of the Big Island through 6 p.m. this evening, forecasters say, and the advisory may need to be extended through Saturday across all or portion of the advisory area. A High Surf Advisory is also in place until 6 p.m. for east-facing shores of Hawaiʻi Island.